Obituary – Craig, Chester Cecil « Perry High School Alumni Association, Inc.
Graveside rites have been scheduled for 2 p.m. Friday at Mt. Carmel cemetery, north west of Perry, for Chester Craig, 71, route one, Billings, long-time Kay and Noble county teacher, who died at 4 p.m. Tuesday at Western State hospital at Fort Supply. Rev. Luther Trent, pastor of the Billings United Methodist church, will officiate. Burial will be under direction of Parker Funeral home of Perry. Craig was born March 24, 1906, at Billings. 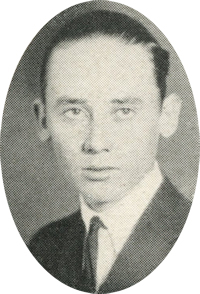 He was a 1924 graduate of Perry high school and graduated from Oklahoma A&M in 1932. 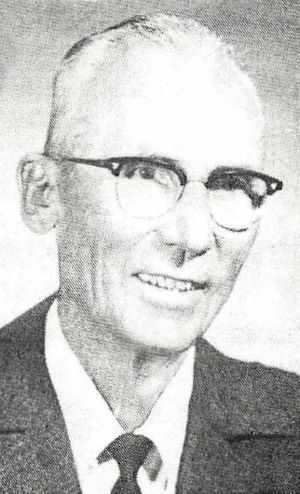 He taught school in Kay and Noble counties and taught at Billings public school from 1955 until his retirement in 1970. He and the former Alice Babcock were married Aug. 13, 1938, at Guthrie. Craig was a member of the Billings United Methodist church, the Masonic lodge, Order of the Eastern Star and the White Shrine of Enid, the Noble County Retired Teachers association, and the Cherokee Strip Historical society. He also was active in civic work in Billings and Noble county. Survivors include his wife, of the home; three sons, Cecil, McAlester; Bill, Billings; and John, San Diego, Calif.; four sisters, Mrs. E. E. Harnden, Mrs. Elmo Ricker and Mrs. Bill Eyler, all of Stillwater; and Mrs. Mark Whelan, Albuquerque, N.M.; a brother, Homer Craig, Farmington, N.M.; and two grandchildren. The family has requested memorial contributions to the arthritis foundation. Parker Funeral home will act as custodian of memorial donations.